The exact number of votes the World Series MVP received is unclear. Boston Red Sox designated hitter David Ortiz is apparently so popular in the city that some residents think he should be mayor. 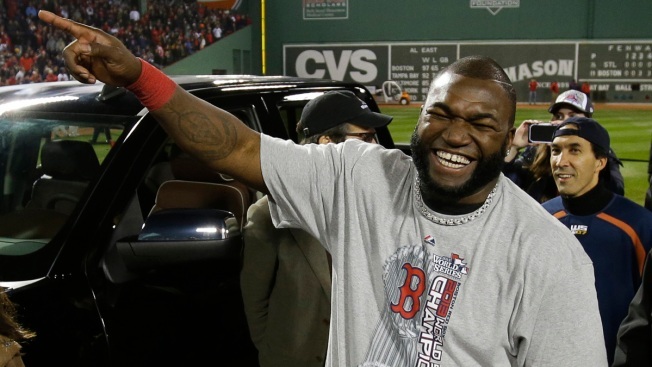 Ortiz, fresh off his third World Series championship with the team, received several write-in votes in Tuesday's election. City elections officials say 560 write-in votes were cast, but they don't count those not cast for declared write-in candidates. Therefore, the exact number of votes the World Series MVP received is unclear. State Rep. Marty Walsh got almost 52 percent of the vote to beat City Councilor John Connolly in the contest to replace 20-year Mayor Tom Menino. Check out more New England news coverage at NECN.com.